Get notified when R5 tickets are available! R5 is a United States-based pop rock band that is from Los Angeles, California. 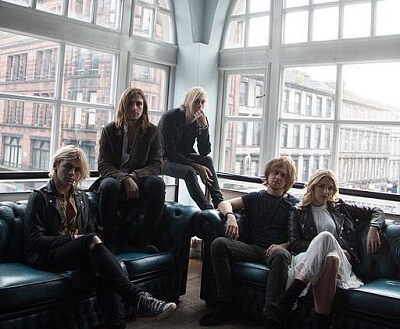 Formed in the year 2009, R5 is made up of vocalist Ross Lunch, vocalist and bassist Riker Lynch, guitarist and vocalist Rocky Lynch, keyboardist and vocalist Rydel Lynch and drummer Ellington Ratliff. Their debut album, “Louder,” came out in 2013 and peaked at number 24 on the Billboard 200. Their other album hit number 6 on the same chart. R5 has toured over five continents, and if you want to be in the crowd for their next tour, purchase your R5 tickets now.